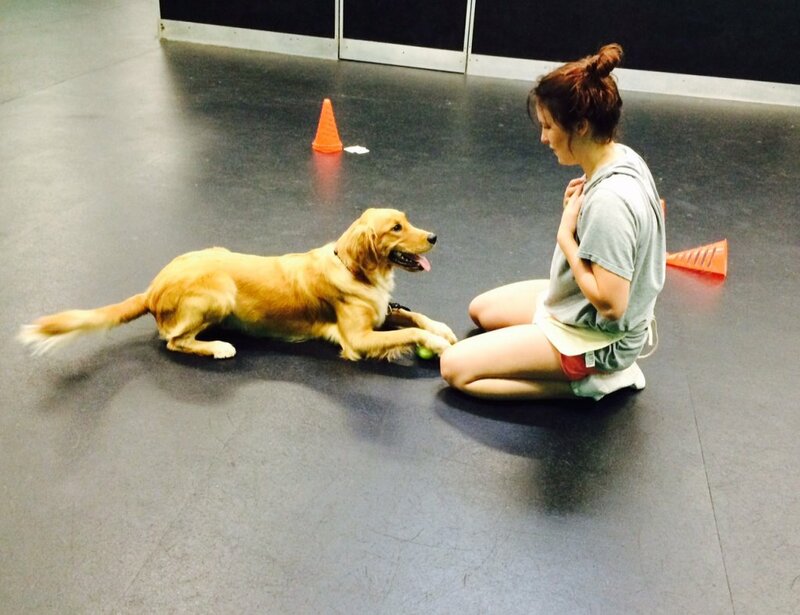 Check out our group training options for dogs of every age and skill level. Use the quick links below to guide you to the class that best fits your needs, or keep scrolling and have a look at them all. Let’s get your dog enrolled and on her way to better manners! I have a new puppy! Our little lightning bolt of energy is rocking our world. What can we do? My dog is a mess! Can I order some manners for my grown-up pup, with a side of sanity? My dog pulls like crazy! We just need leash walking. Please help before I lose an arm. 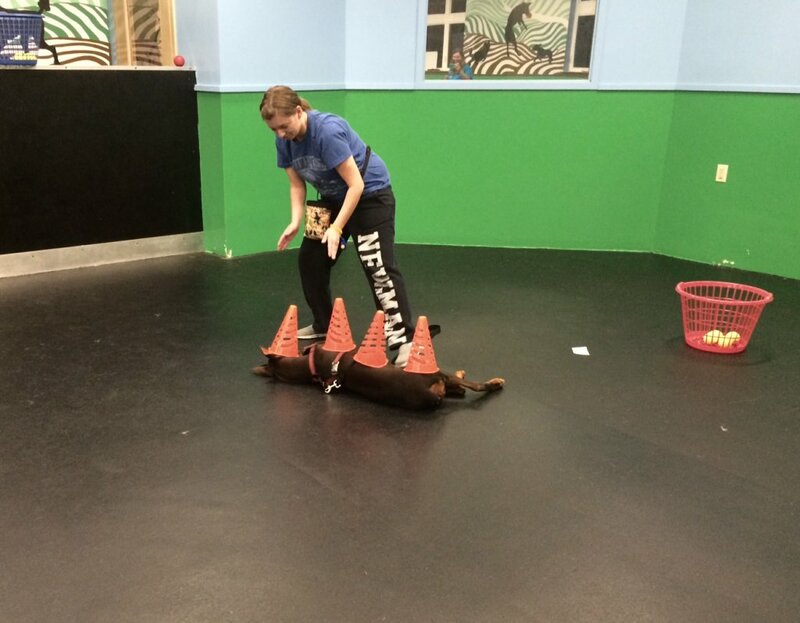 Our top level class, where dogs with advanced obedience can train and test for the coveted Canine Good Citizen title. Think outside the box! 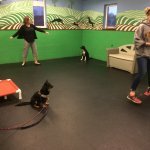 Fine tune your pup's obedience skills while playing fun games like Red Rover, Leapfrog, and Charades. Any dog can be a star! Learn fun tricks, build your bond with your furry pal, and you can even earn AKC Trick Dog titles! …wait, you want another reason? all right. we have a sense of humor! Puppies are a ton of fun, but they can also wreak havoc on a happy home with their rambunctious behavior and endless nipping. Lucky for you, there’s Puppy Manners Class, where you’ll learn how to confidently navigate the puppy months. You’ll begin with a humans-only orientation to get caught up on the latest in puppy raising techniques. A lot may have changed since your last dog, and we stay on top of industry best practices. And if you’re a first time puppy owner, you’ll appreciate the comprehensive review of topics like housetraining, chewing, and nipping. Plus, the supportive atmosphere of other puppy owners who are also in the trenches can’t be beat. At orientation class, you’ll also receive your puppy owner’s manual, clicker, and treat pouch. Group orientations are held on alternating Saturdays and Sundays at 3pm. You can see the exact class schedules and enroll using the button below. If you know you want group classes but can’t make the next group orientation time or need some help right away, our in-home orientations are just the ticket. 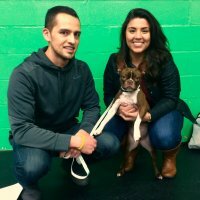 We’ll personalize the problem-solving info from orientation to your dog and family, focusing on just your puppy’s needs. Then, you can join into the group classes without missing a beat! Due to the discounted price from our regular in-home training, in-home orientations must be purchased as a package with your group class. 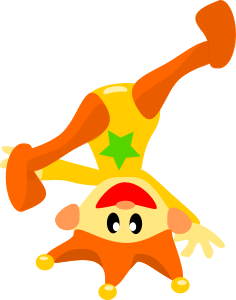 You can do so below. We’ll get in touch after payment is received to schedule your orientation, or you can contact us to set a tentative date and time before purchasing. 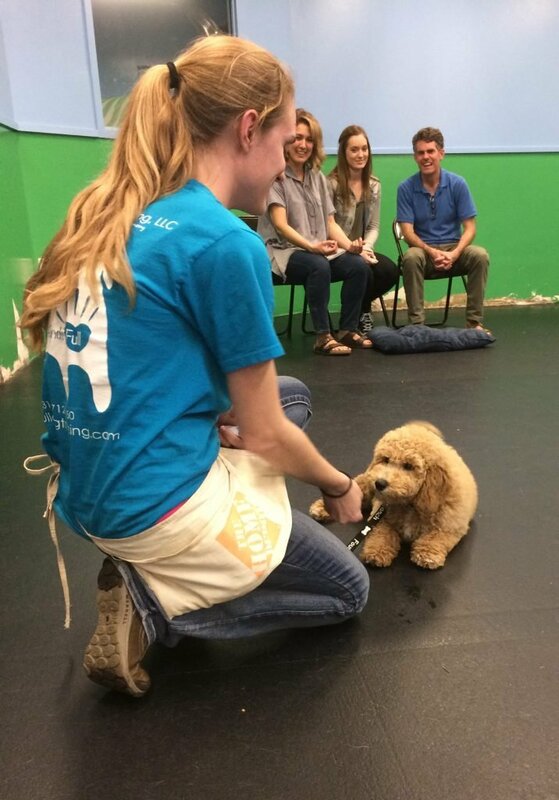 Once you have attended orientation, you can join into one of our rolling admission puppy classes right away. 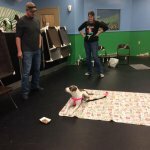 You’ll attend with your puppy for six weekly sessions. 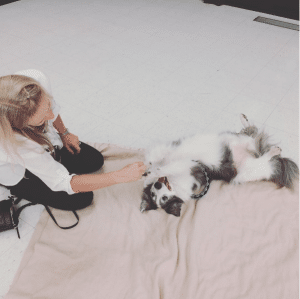 Our innovative puppy curriculum integrates basic obedience such as sit, down and come when called into real life situations like teaching your puppy to lie calmly for nail trims. Our focus is on real world manners, and you can take these lessons right back into your daily life. 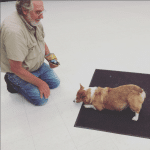 We even do an on location run through of a visit to the vet! 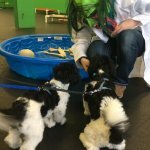 Each class session has an enrichment activity, ranging from walking pups across teeter-totters to introducing them to Halloween costumes and ball pits. 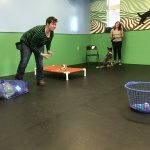 You’ll also learn some practice exercises to prevent future aggression, and you’ll become part of our puppy socialization program, where you can win fun prizes by taking your puppy on weekly field trips. And did we mention? There’s time for free play, supervised closely by our expert instructors. Puppies playing is one of the best things in the world! Classes are rolling admission, which means you can begin as soon as there’s a spot available. Your options are Saturdays at 4:30pm, Sundays at 4:30pm or Wednesdays at 6:15pm. You can view the openings and save a spot for your puppy using the button below. Once you enroll, you will attend 6 classes in a row, weekly at the same day and time. We do offer a single complimentary drop-in makeup lesson to students because we know life happens. This is a firm limit. 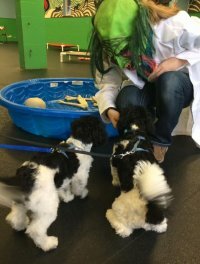 If you have a variable schedule and will have to miss multiple sessions, consider our Private Puppy Manners School instead; we can work around your calendar. 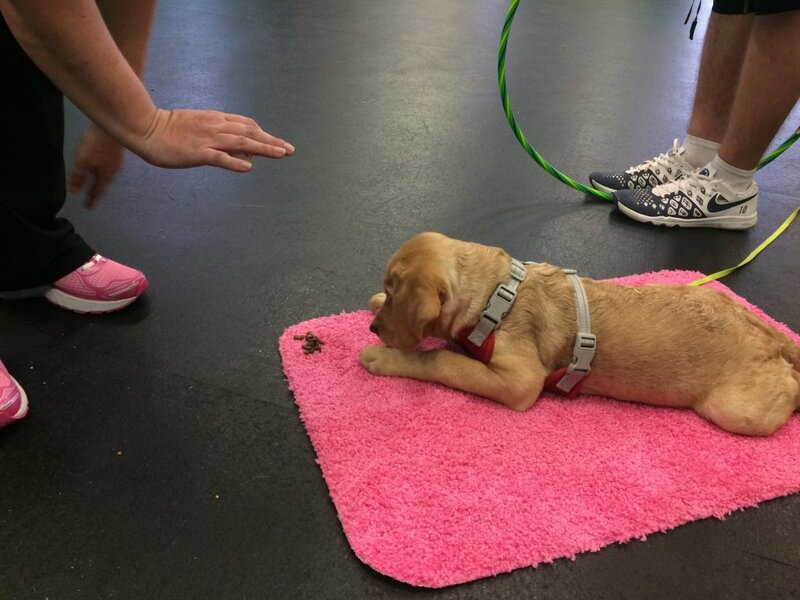 Due to developmental time frames, puppies must be 16 weeks or younger on their class start date to join Puppy Manners Class. 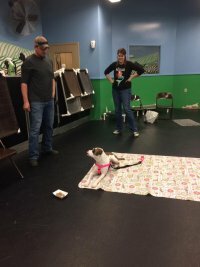 Puppies older than 16 weeks should join Family Dog Manners Class. Puppies must have had two distemper and parvovirus shots and one bordetella immunization. 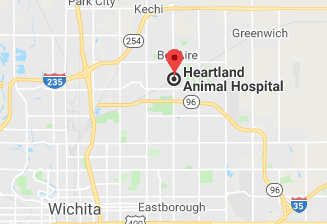 The most recent set of shots must have been performed by a veterinarian. 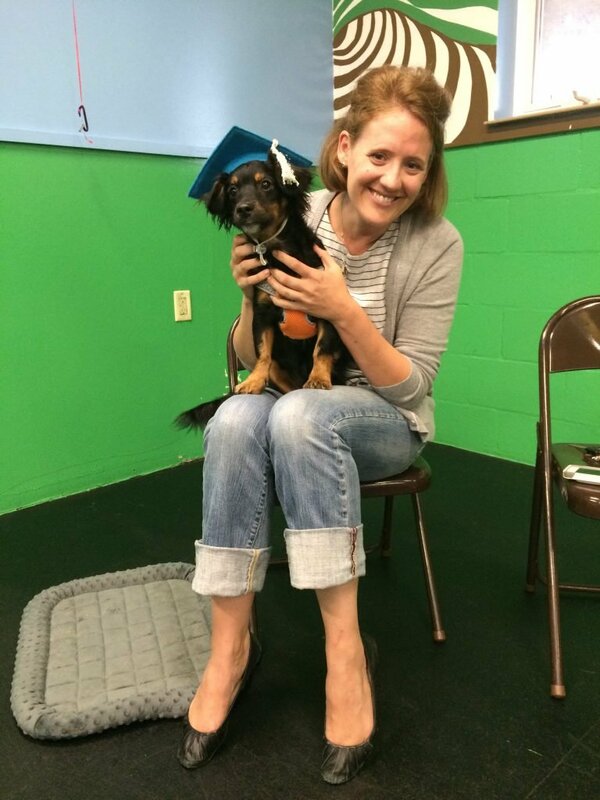 Puppies that miss a class may attend one extra session immediately following their graduation. 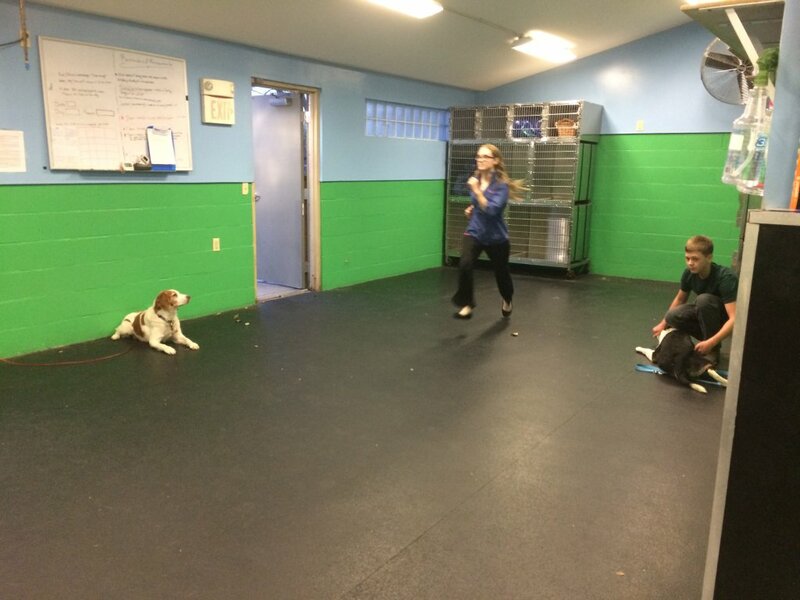 This will be a repeat class, but your puppy will get additional practice and socialization. We recommend planning to attend all classes if possible. We don’t offer refunds on group classes; we do offer class credit if you withdraw at least a week before your start date. Did you know? Puppies under 5 months old are in a sensitive stage of neurological development. The things they experience in this time will influence their temperament for the rest of their life. And once they pass this developmental stage, it’s impossible to turn the clock back and have a re-do. 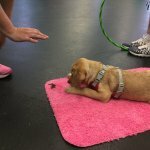 That’s why puppy class is so important! Your family dog is well-loved but also driving you up a wall. 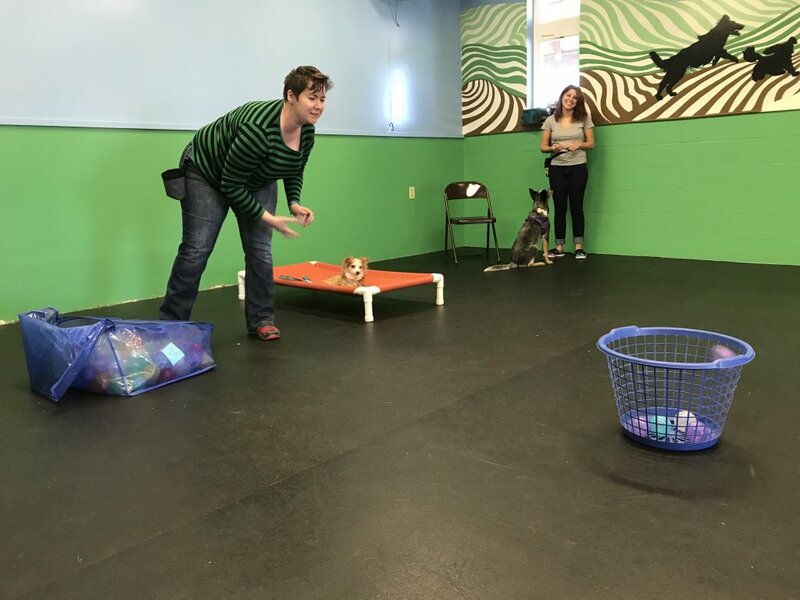 We introduce basic obedience skills, then teach you to integrate them into real life settings with our innovative curriculum geared toward pet dog owners. Our manners classes begin with a mandatory humans-only orientation class. 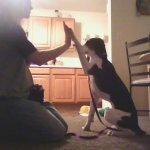 We’ll go in-depth on problem solving common dog issues, then introduce you to our fun training techniques. 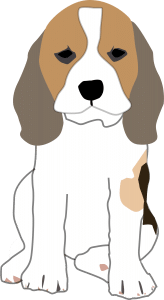 You’ll be able to ask all those burning questions you have about your dog’s behavior, and will leave confident that you are up to the challenge of living with a dog. 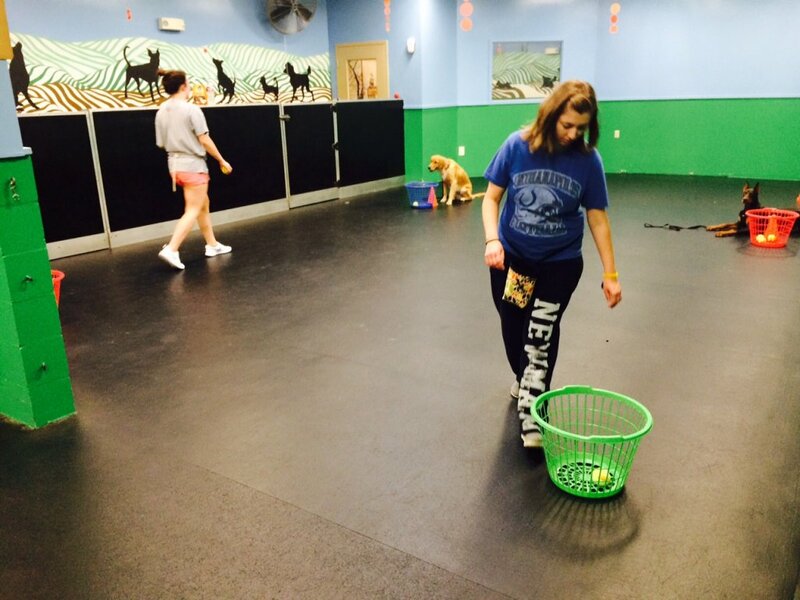 At orientation class, you’ll also receive your dog owner’s manual, clicker, and treat pouch. If you know you want group classes but can’t make the next group orientation time or need some help right away, our in-home orientations are just the ticket. We’ll personalize the problem-solving info from orientation to your dog and family, focusing on just your dog’s needs. Then, you can join into the group classes without missing a beat! Once you have attended orientation, you can join into one of our rolling admission family dog manners classes right away. You’ll attend with your dog for six weekly sessions. We start each session with a focus exercise and a review of a basic position (sit or down). Then, we dive into our real world manners segment, weaving foundation obedience into specialized lessons that you can go back and apply right into your life. 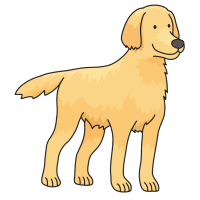 For example, our Company’s Coming class will teach your dog to sit automatically for greetings whenever someone approaches, and our Family Picnic class teaches your dog to patiently stay with food nearby. Want the nitty gritty details? Click below! Classes are rolling admission, which means you can begin as soon as there’s a spot available. Your options are Saturdays at 6pm, Sundays at 6pm or Wednesdays at 7:30pm. You can view the openings and save a spot for your dog using the button below. Please note that once you enroll, you will attend 6 classes in a row beginning on your selected date. We do offer a single complimentary drop-in makeup lesson to students because we know life happens. This is a firm limit. If you have a variable schedule and will have to miss multiple sessions, consider our Private Family Dog Manners School instead; we can work around your calendar. Once you’ve finished our Family Dog class, you’ll be ready for the next level – an intermediate manners-building class where you can firm up the basics and start to see an even bigger change in your dog’s behavior. Estimated rollout is July 2019, so hold tight! 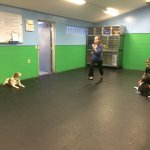 All dogs 16 weeks and older are welcome to enroll into Family Dog Manners Class. Puppies under 16 weeks should enroll in Puppy Manners Class. Dogs must be current on rabies, parvovirus, and distemper immunizations plus bordetella within the past 6 months. 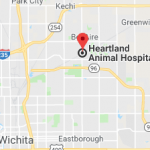 The most recent set of shots must have been performed by a veterinarian. Your class fee includes one complimentary makeup lesson. Since our classes run on 6 week rotations, your makeup lesson will usually be 6 weeks after the class you miss. Restrictions: Does your dog become fearful, upset or aggressive around other dogs or people? Is your dog a non-stop barker? We can’t meet the needs of aggressive, reactive, or extremely vocal dogs in our bustling group environment. This is also not a good environment to attempt to socialize an unfriendly or fearful dog. We can still help, but in a setting that better fits your dog’s needs – please get in touch to discuss what would work best. Does your dog drag you down the street or pull you all over the place to sniff every bush? 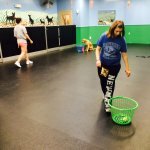 This class will help you and your dog learn to walk together in harmony as a team. What can we say? It’s all about leash manners! 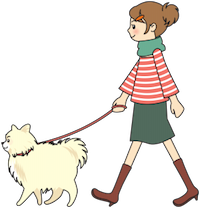 In this class we focus on a loose leash walk out and about, not a formal heel. This class is very unique as each week the location will switch between Heartland Play & Stay and a park setting. 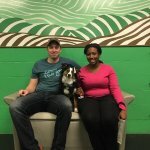 You and your dog will learn and practice foundation skills in a lower distraction environment, then go test those same skills out the next time “in the wild”. My dog walks fine on leash until he sees another dog or person, THEN he goes crazy and starts barking and lunging. 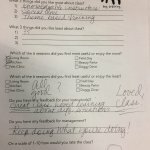 Will this class help us? 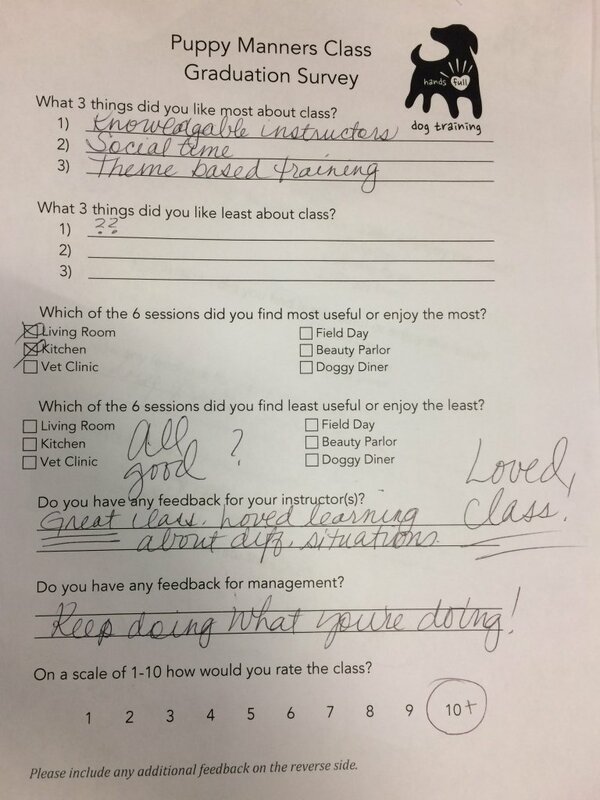 No, this class is not appropriate for dog or human aggressive/reactive dogs. You will be working around other dogs and people in close proximity from the start. 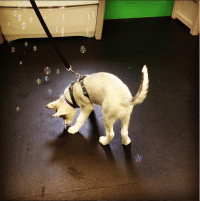 We expect some level of excitement or distractibility, but we cannot resolve serious reactivity with this basic leash manners class. However, we can help you one on one! Please contact us for private training if your dog needs help with on-leash reactivity or aggression. 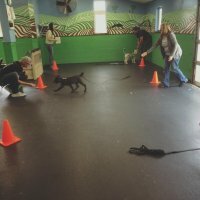 This class is semi-private – it is limited to 4 dogs, to ensure you have the space and individual attention you need for success. Payment reserves your spot in class. Click the button below to be teleported to our Client Portal, where you can sign up! 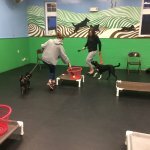 Dogs 16 weeks and over are welcome to join these classes. Younger puppies should attend Puppy Manners School first. 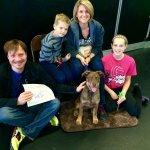 Although there are no firm pre-requisites, if you have a brand new dog with absolutely no foundation in training, we highly recommend you attend Family Dog Manners Class first, then Leash Pullers Anonymous. This class is sequential rather than rolling enrollment, so no makeup lessons are offered. Private makeup lessons can be purchased at a special rate of $75/hour. This class rotates between our primary facility and a nearby park. 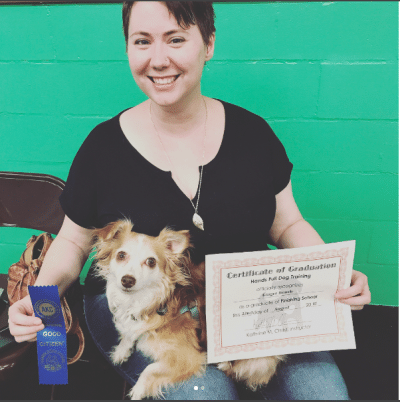 You’re proud of your dog already, but the feeling of passing the difficult CGC test and earning a ribbon and title is like none other. 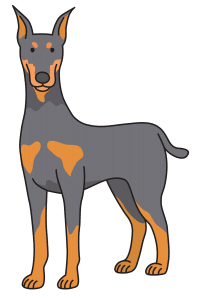 Join us for Finishing School and challenge your dog to focus for longer durations around other dogs and people, staying responsive and obedient even without food rewards. It’s a tough task, but we know how to get you there. 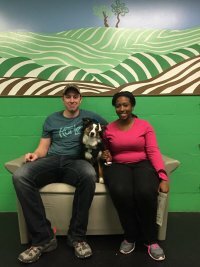 Ginger was adopted from the Hutchinson Animal Shelter in October of 2016. 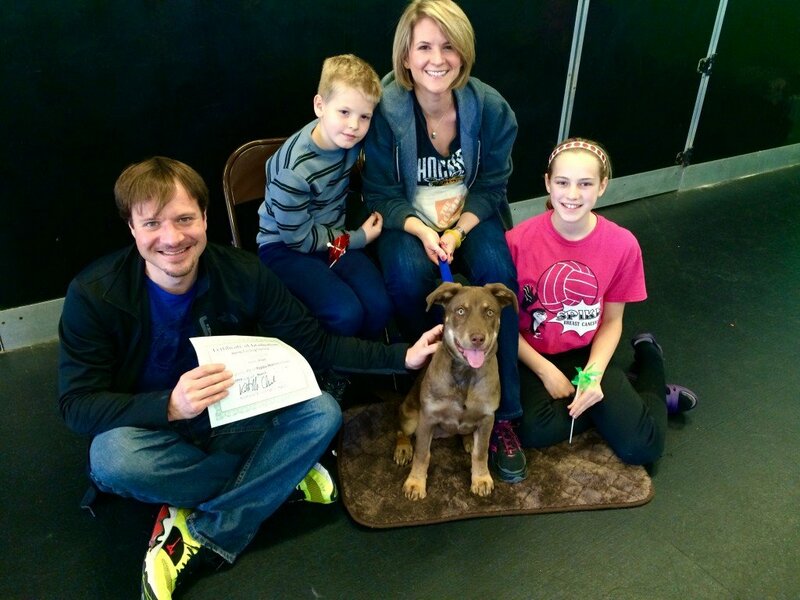 She was too stressed to take treats for weeks and attended Family Dog Manners class… twice. It took 6 months for her to blossom (and to learn how to sit consistently). Bacon helped. And on August 22nd of 2017, she proudly earned her Canine Good Citizen title. 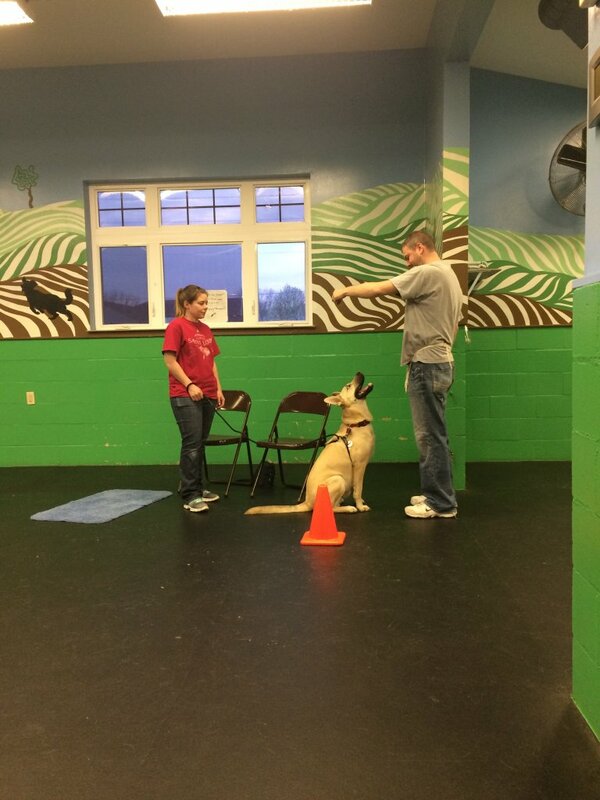 It takes patience, time, and training, but the CGC is an achievable goal for your dog, too! Have you always wanted a Canine Good Citizen? 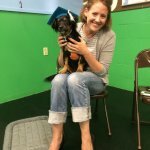 This class will help you prepare your dog to succeed! 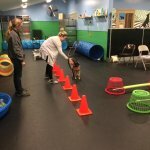 Take those obedience skills to the next level with our Finishing School, where we’ll prepare your dog for the AKC Canine Good Citizen test in a step-by-step course. 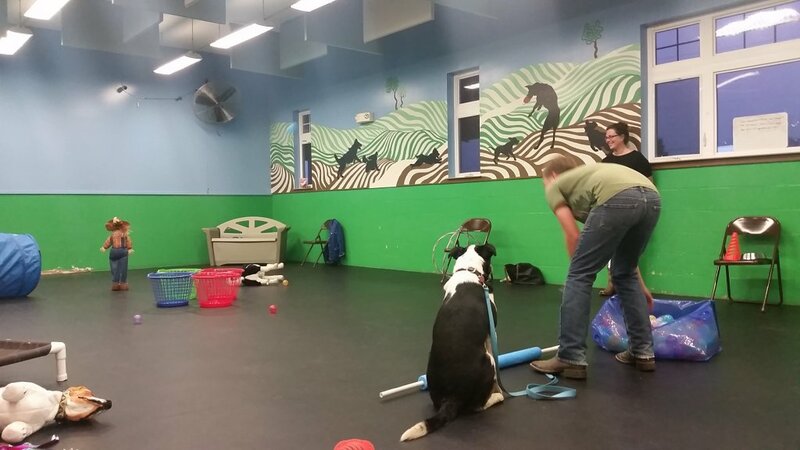 We’ll work on getting and keeping attention around other dogs and people, building reliable long-distance stays, polite greetings, focused leash walking, a rocket come when called, and more! Are you a details person? You can read the complete list of test items ahead of time. If your dog is AKC registered, the CGC is an official title and a great gateway to therapy work, dog sports, and an all around certified well behaved dog! Even if he isn’t, you can still earn a CGC certificate to keep as proof of your training teamwork. The course is 7 weeks long and includes 6 weeks of training plus an official Canine Good Citizen test the final week of class. The cost of taking the test is included in your registration fee. Who can attend Finishing School? Like the name says, Finishing School is intended to polish up your dog’s obedience, not teach basic skills. 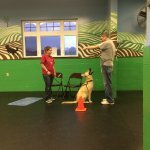 In order to enroll in this class, your dog should be a graduate of Family Dog Manners Class I and II in order to have the best chance at passing the CGC test. 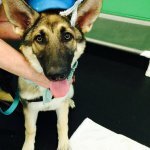 Wondering if your dog is ready? Here’s a Finishing School Self-Assessment that lists the basic benchmarks for class. We don’t expect perfection, so don’t worry if you’re still working on a couple, but we do need a minimum level of obedience already so you’re prepared for the advanced exercises we’ll be doing. Yes, if your dog is ready. But if you’re not a graduate, you must have our approval to take this class, so please email first and we’ll chat. 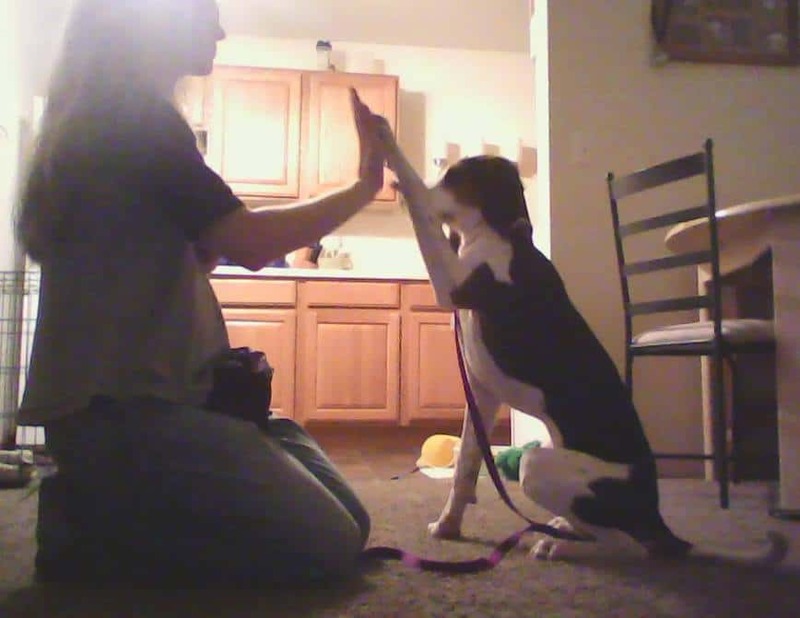 You and your dog must already have a basic level of training skills using positive reinforcement methods. Otherwise, we’ll need you to attend Family Dog Manners class first. 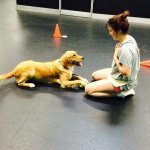 My dog is obedient but isn’t good with other dogs/people… will this class help him? No, our exercises have dogs working in close quarters around other people and dogs from the start. This class is not appropriate for dog or human aggressive/reactive dogs. Please contact us for private training if your dog needs help with these issues. 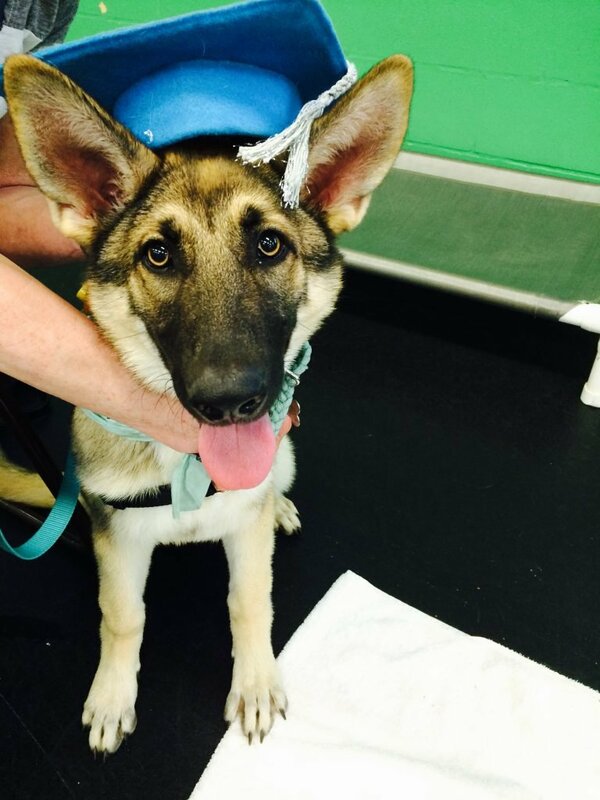 We recommend Finishing School for dogs over 1 year of age as they are more likely to be successful. 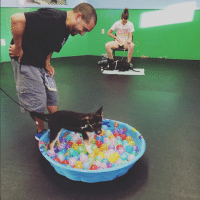 However, dogs as young as 6 months may enroll with instructor approval. These classes are sequential rather than rolling enrollment, so no makeup lessons are offered. There’s more to training than obedience drills. 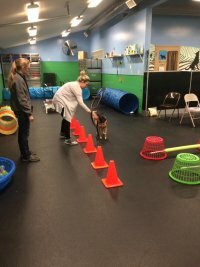 If you want to have fun with your dog while teaching him new and better behavior, you’re in luck – we have just the ticket. And it’s golden. 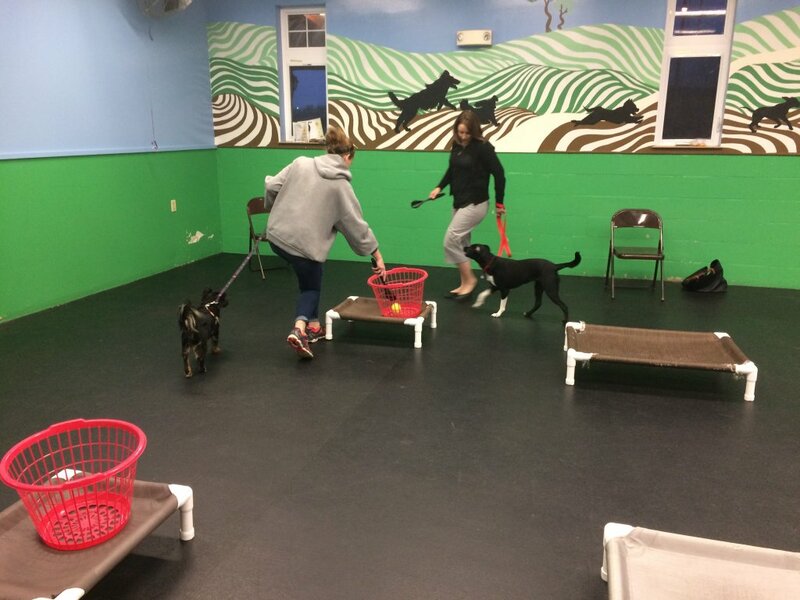 We welcome all dogs who have passed a basic obedience class into our Obedience Games class. 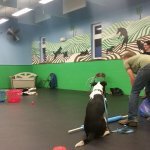 We’ll help your dog learn to focus on you and improve his or her foundation skills through competitive group games and fun individual challenges. Join us for Charades, Red Rover, our Party Promenade (can your dog walk on a party streamer instead of a leash? ), Skee-Ball, Leapfrog, and more! You and your dog can win brag certificates and prizes as an added perk. 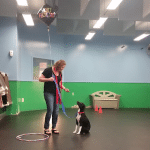 In this class, we build on basic behaviors like sit, down, stay, come when called, and leash walking, teaching you how to get more reliable, stronger behavior, and more behavior per reward. This may be a fun class, but you’ll learn a lot too… it’s just sneaky, like when your mom grated carrots into her spaghetti sauce (really… go ask her). This class is held twice annually in A and B sections. Each will have a completely different series of games and challenges so you can come back for more! 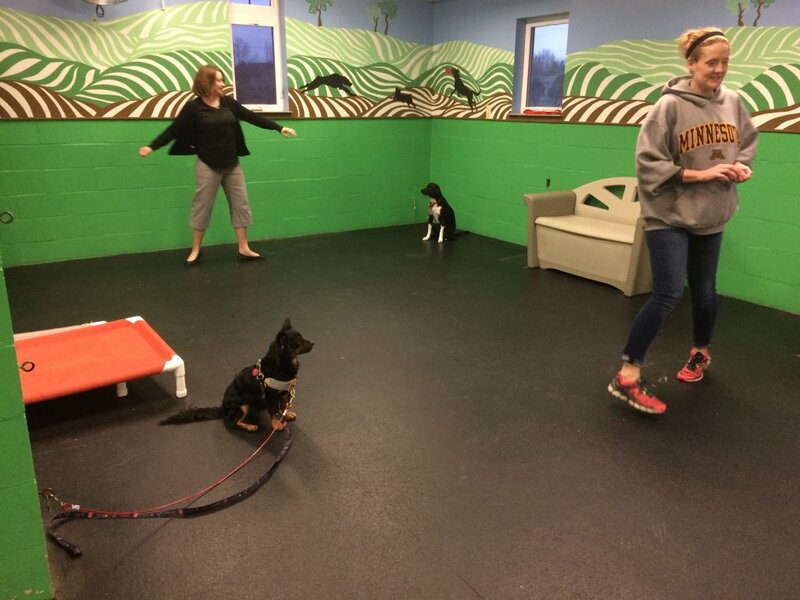 time remaining until trick dog class begins… don’t miss out! Our trick dog training classes are accessible even to the beginner, but also fun for the training-savvy. Thought your dog couldn’t be any cuter? Just wait til she can curtsy or play peek-a-boo! This entry level class is all for fun and fun for all! Your dog will learn a series of classic tricks that will delight your family and friends. 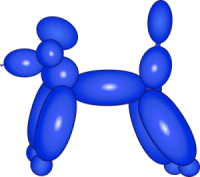 You will also have the opportunity to earn your dog’s AKC Novice Trick Dog title (open to dogs of all breeds and ancestry). 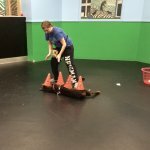 You can see the trick dog title application for a list of all the tricks you have the option of learning: AKC Trick Dog Application (PDF) Each student will have the opportunity to select a special “Owner’s Choice” trick off the list to learn.